Get to know our hotels and the cities they call home. 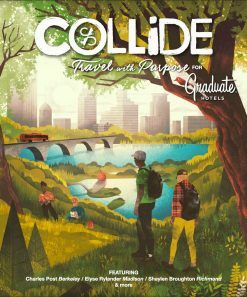 Travel With Purpose, published by our friends at Culture Collide, is jam-packed with local recs for every Graduate location. 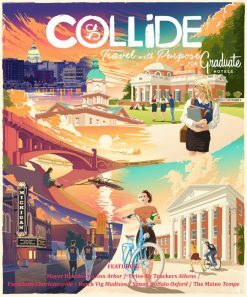 Discover hidden gems and can’t-miss sights around town and on campus, plus the best shops, bars and restaurants. Throughout, local musicians, artists and university staff offer tips for getting the most out of your visit. Subscribe to the Graduate Hotels newsletter for updates, events and more.